Canning was invented by the French cook Nicolas Appert in the 18th century. Appert took a challenge from Napoleon Bonaparte to come up with a way to preserve food for feeding his vast armies out on the field. It took nearly 15 years to perfect his idea, but in the end he came up with the basic method that is still used today. Food is cooked, sealed into containers and then heated to create a vacuum seal that keeps the food airtight and preserved. In 1968 a 100-year-old ship was found sunken in the Missouri River. Among the items retrieved were numerous canned goods. In 1974 these goods were analyzed by food chemists and found to be suitable for consumption. Today, the Food and Drug Administration advises people not to eat canned goods that are more than 2 years old, but it's good to know two years and a month may not make a difference. Be aware though, cans that have bulged should never be eaten, as that can be a sign of contamination. All measure of fruits and vegetables come in canned form. Peaches, pears, cherries and berries for baking and fruit cocktail are some of the more popular canned fruits. Many of today's canned fruits also come in single serving sizes that can be packed away in a lunch box for a healthy snack. 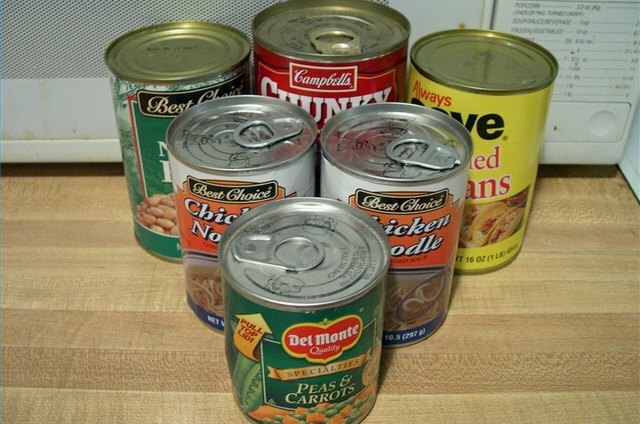 Canned peas, corn, spinach, tomatoes, mushrooms and asparagus make up some of the more common canned vegetables. 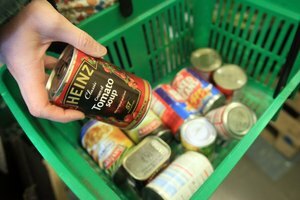 Canned evaporated milk is widely used in baking, but can also work well in the emergency food box. Other products that fall into this category include sauces, such as tomato, Alfredo or cheddar cheese for a quick pasta meal or canned hollandaise for a special brunch eggs Benedict. 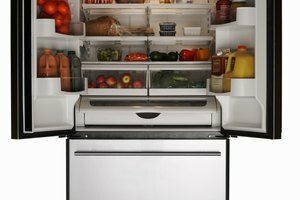 Northern white, pinto, black and kidney beans make up staple items in many kitchen pantries. 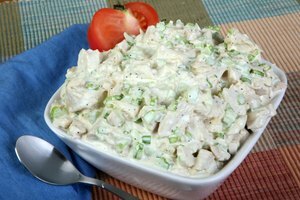 They can be easily added into any meal for extra protein or combined to make a quick cold salad for dinner or to bring to a potluck. Other canned beans and legumes include chickpeas and lentils, as well as prepared goods like baked beans and chili. Canned tuna, chicken, sardines and potted meats like liverwurst and Vienna sausages have long been used on camping trips and as an answer for a quick meal without much prep time. Like fruit, single serving cans of tuna and chicken are available to put on top of lunch salads or for a fast protein fix after a workout. You may be hard pressed to find a kitchen pantry without a least one can of soup in it. Tomato, chicken noodle, clam chowder, vegetable, beef barley or simple broths are the usual findings. These make fast and comforting meals on chilly days or when sore tummies just can't hold anything else. Other prepared foods include corned beef hash, beef stew, pasta meals, sloppy joe mix and raviolis. What Food Goes With Boiled Shrimp?